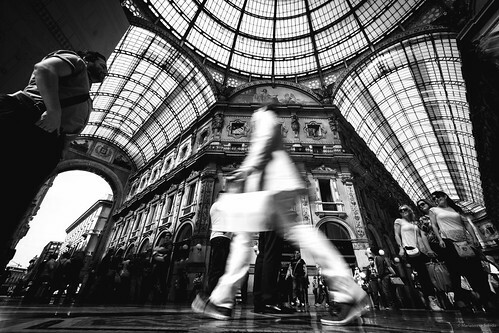 As a shopping destination, Vancouver is widely underestimated. Sure, we have the generic malls with the usual brands and stores, but Vancouver is also home to some of the world’s most interesting or exclusive international brands. Let’s have a look at some of the more interesting shopping in our beautiful coastal city. Just recently opened at 147 West Broadway on April 25th, Fjällräven is a Swedish brand for the outdoors lover known for its rectangular, old-school backpacks. The store, unique in Canada, offers 3,000 square feet of outdoor clothing, accessories and gear. A trip to Vancouver isn’t complete without a stop at the Robson Street lululemon store. It’s the only store in the world that features the entire collection. It’s really hard to leave without a new pair of yoga pants or technical t-shirt for your next jog! When Top Shop opened a boutique at Hudson’s Bay in downtown Vancouver, the female population of the city went wild. The famous British brand had finally made it in the colonies; you didn’t need to suffer Heathrow or take the tube to buy the trendy and affordable clothes. A must shopping stop for any fashionista! If you have the means (or just want to dream you do), stop by Tiffany’s at the corner of Alberni and Burrard. You don’t have to leave with an iconic blue box, but you sure can have a look at the famous jeweler’s bright collections. In fact, the stretch of Alberni between Burrard and Bute is soon going to become Vancouver’s version of LA’s Rodeo Drive, filled to the brim with luxury brands: Gucci, Prada, Louis Vuitton, Burberry, Escada, Coach, Hermès and Chanel. Christian Dior will open Canada’s first free-standing boutique in the Hotel Vancouver. Jeweler De Beers and New York designer Tory Burch have already opened boutiques. It’s easy to spend a whole day shopping downtown, especially along Robson and Alberni streets. But if you prefer the mall experience, Metrotown also offers its own experience, with plenty of renowned brands and stores to visit. 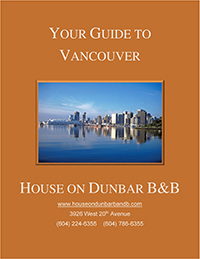 Our conveniently located guest house on Dunbar gives you quick access, either with a car or through public transit, to Vancouver’s hottest shopping destination.